3 Responses to Distributed and syndicated content: what’s wrong with this picture? I understand that the AMP url is confusing and unintuitive, but what exactly makes it unsafe? Michael, by obscuring the true origin of the page, users who rely on certain browser features (forms & credit card info being prepopulated, conditional execution of scripts, trusting the server with their data) can be easily deceived in various ways. 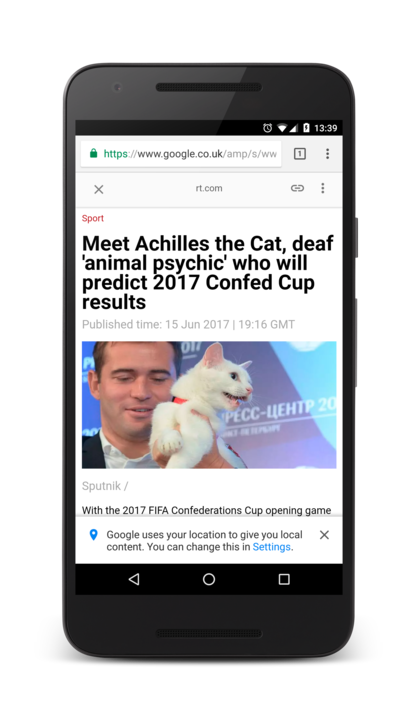 During a recent AMP conference, web packaging AMP content was mentioned as part of a solution to the URL issue.